You will be given a reference e-book to read which has 289 pages And the test will be based on that e-book , you can take final test within 1 year of purchase. Customer care refers to the process of putting useful systems into place in order to maximize the satisfaction of your customers when doing business with you. This is one of the many processes that should be primarily considered by your business as keeping your customers satisfied and happy works in boosting your sales and profitability. Another way to define customer care is that it is a set of activities that are primarily designed to further enhance the level of satisfaction of your customers by making sure that you continuously provide them with products and services that meet their expectations. It plays a very vital role in generating more income and in improving the systematic approach of your business. 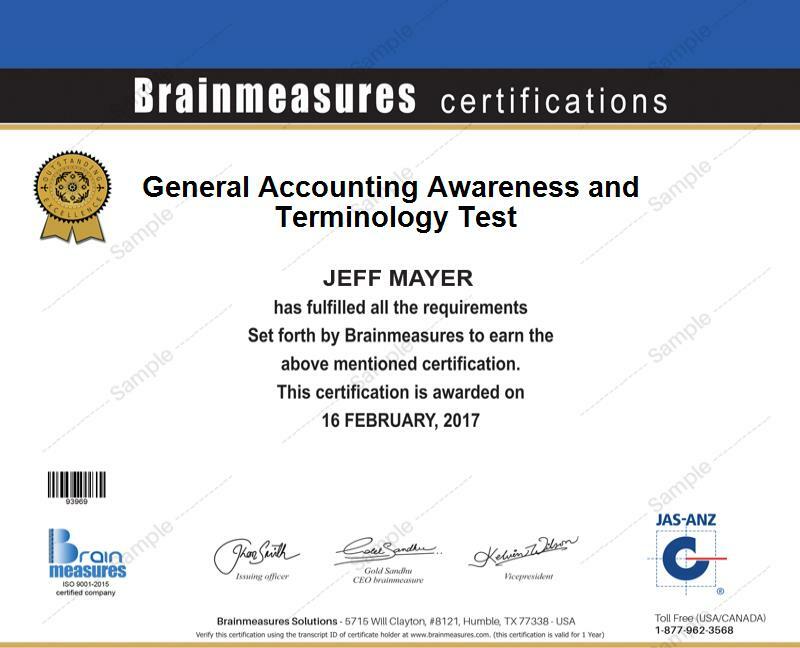 If you are one of those who wish to enhance their ability to continue satisfying customers, then enrolling in a customer care certification program available at Brainmeasures is the best thing that you can do. The customer care course offered by this reputable online certification company is proven to be effective in letting you understand everything about all the procedures and techniques that you can use in allowing your customer care team to move forward and start providing world-class and high quality services to your customers and prospects. It offers a customer care training which works in letting you learn more about your products or services, techniques that you can use in assessing the needs of your customers, how to keep your customers well-informed and how to continuously meet the demands and needs of your customers while providing them with ongoing support. The certification online that you can get from this certification course validates how effective and skillful you are in the field of providing customer care services. You can use the certificate that you receive from completing this course to get more stable jobs with higher pay. Different individuals and professionals especially those who are responsible in boosting the level of satisfaction of customers can receive great benefits from enrolling in the customer care certification course offered by Brainmeasures. This is suitable for sales professionals, customer care/service representatives, marketing managers, front line workers, customer care/service managers and supervisors, small business owners, credit and billing specialists and any other professionals who regularly come in contact with customers and want to receive training as a means of reinforcing their customer care skills and train their staff. Salary for customer care certification holders is also capable of improving their financial stability. If you are already holding your customer care certification, then you can use it to work as a customer care / service representative and earn around $32,000 to $71,000 per year. You can also work as a customer care consultant which will allow you to receive an annual salary within the range of $81,000 to $100,000. You can also work as a customer care account manager / executive and this will let you enjoy an annual salary of around $85,000 to $160,000.